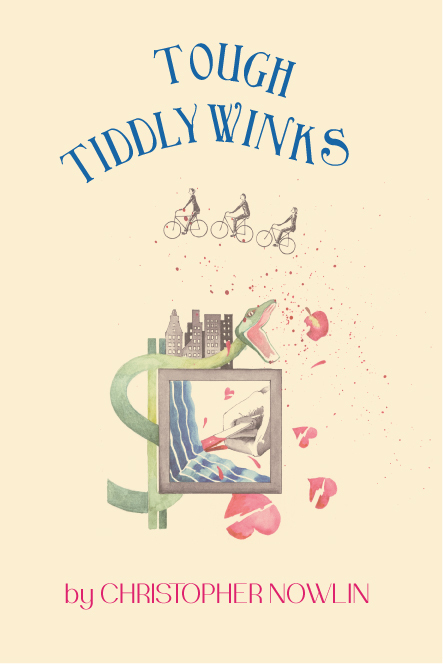 Tough Tiddlywinks is available on line. It can be purchased at such sites as Amazon, Barnes & Noble and McNally Robinson. In Vancouver, B.C., it can be purchased at Pulp Fiction on Main Street near Broadway, Y’s Books on Main Street near King Edward, the People’s Co-op Bookstore on Commercial Drive, Hager Books at 41st Avenue in Kerrisdale, Book Warehouse on West Broadway (near Cambie) and on Main Street (at 25th Avenue), and at Dead Write Books at West 10th near Alma, 32 Books and Gallery in North Vancouver, and at the Langara College Bookstore on 49th Avenue. In Calgary it can be purchased at Pages on Kensington. In Lethbridge, Alberta it can be purchased at Chapters bookstore on 7th Avenue. Bookstores and libraries may order Tough Tiddlywinks through Ingram Book Company.